Looking for the perfect gift for your sports fans? 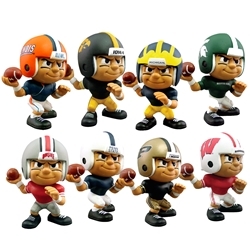 Whether yours are of the young or old variety, sports fans will appreciate adding Lil' Teammates representatives from their favorite teams to their collection! With figures available from all the major leagues, NFL, NBA, MLB, NHL, as well as collegiate teams from ACC Atlantic Conference to the WAC Conference and all those in between, Lil' Teammates are an affordable gift solution for sports fans! I was thrilled to be introduced to Lil' Teammates, as members of my family are not only huge sports fans, but also active in many sports. We were given an opportunity to review Lil' Teammates from our favorite Michigan teams, much to the delight of not only my 10 yr old son and husband, but my teenage daughter as well! 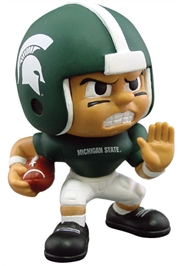 My daughter, a football fan and soon to be a Spartan herself, wasted no time in claiming the Spartan Football figurines, which are much admired by her throngs of friends! 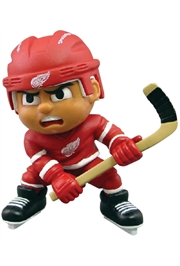 My son literally gasped when he saw the Red Wings Hockey figures, awarding them a special place of honor on display amongst his Red Wings collection and does not hesitate to show them off to all his guests! 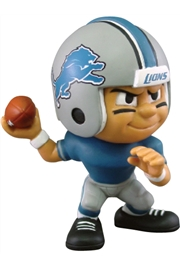 My husband, with a sheepish smile like a kid in a candy shop, was more than happy to claim figures representing the Detroit Lions and Detroit Pistons to display in his man cave! In fact, I've discovered all three of them checking out the Lil' Teammates website, creating their personal wishlists, viewing team stats and exploring in general! With the 3"single figures only $7.99, nice savings on fabulous collections, as well as gift certificates available, Lil' Teammates has just made my gift shopping for many occasions much easier! Even shopping for Lil' Teammates is fun! Your sports fans will want to explore the Lil' Teammates website, where they can participate in games, sport challenges and even earn points redeemable for cool prizes! Birthdays, holidays, graduation, congratulations...Lil' Teammates are an affordable, yet personalized way to make your sports fans' day! Like Lil' Teammates on Facebook and receive a special offer to make your purchases even more affordable! Create & Color your own Lil' Teammate for a chance to win a 6 pack collection! Three age groups for entering: 2 - 6, 7 - 9 and 10 & up. All entries must be postmarked no later than midnight, August 1, 2011! See the Lil' Teammates funsite for details! 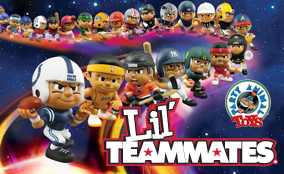 Lil' Teammates is generously offering three of my readers an opportunity to win their choice of 3 Lil' Teammates figures! To be eligible to enter this giveaway, you must publicly follow That's What She Said via Google Friend Connect (left side bar). This giveaway is open to residents of the US, 18+ and will end on Tuesday, August 2, 2011 at midnight, EST. The winners will be selected randomly from all eligible entries and notified by email. The winners will have 72 hours to respond before I must move on to runner ups. Please leave your email address, in anti spam format, in your first entry comment so I may contact you if you are one of the winners. If your email if available via your comment name, this is not necessary. To be eligible to enter this giveaway, you must publicly follow That's What She Said via Google Friend Connect (left side bar). For mandatory entry, please visit the Lil' Teammates website and tell me in a comment which figures you would select if you won. IF YOU ARE ALREADY FOLLOWING, LIKING, ETC, PLEASE TAKE THE ENTRY! * Like Lil' Teammates &/or That's What She Said on Facebook. Leave a comment here with your Facebook name. 2 entries for each. * Follow That's What She Said (tsue1136) on Twitter. Leave a comment here with your Twitter name. 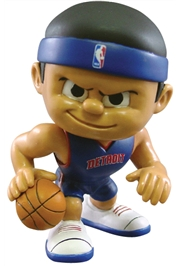 * Visit the Lil' Teammates Funsite and tell me in a comment what your sports fan would love there. 1 entry. * Subscribe to That's What She Said via email or RSS feed (left side bar) and leave a comment with your applicable name. 1 entry for each. * Share this giveaway! Blog it, post on Facebook, Digg,Technorati, Stumble It, post on a giveaway linky! Each method of sharing is worth 5 bonus entries but must include a direct link back here. Leave a link to your sharing in your entry comment so I can find it. Handy share button at bottom of post. * Enter any of my other active giveaways and leave a comment here, letting me know which. 2 bonus entries per additional giveaway. On behalf of Lil' Teammates and That's What She Said, thank you to all entrants for following and participating! I received an assortment of Lil' Teammates figures to explore for the purposes of creating this feature. The opinions above are both honest and my own. Images and information sourced from various Lil' Teammates sites. The sponsor is providing prizes for the giveaway and is responsible for shipping. Facebook is not responsible for nor involved in this giveaway in any fashion. I'm a GFC follower. I would get the redskins,. cubs and bears for my husband and brother! I LIKE Lil Teammates on Facebook. We would select a 49ers quarterback, a butlet bulldogs playmaker, and an Oregon DUcks quarterback! I like you on FB #1! I like you on FB #2! My son would enjoy the creat your own lil teammate on the funsite! I am a new follower. If I won I would choose the Arizona Diamondbacks Pitcher, Baltimore Orioles Pitcher and the Oakland A's Pitcher. Sports fans would love that you can earn points on their site and get some really cool products in return for free! I follow you on GFC(Linda G) and I would choose the St. Louis Rams running back, Colts runnig back and Colts quarter back. My sports fan woudl love to create his own lil teammate on the funsite!! My sports fan would love any of the washington redskins.